SerpentorsLair.info - View topic - THE POP EXPOSE 'G.I. Joe Vintage Style' By Mitchell Smith! THE POP EXPOSE 'G.I. Joe Vintage Style' By Mitchell Smith! G.I. Joe was not the first to have a 3 & 3/4 inch figure, they were not the first to come up with scaled vehicles of a military style, and they were not the first to have a toy soldier, but they were the most creative on making figures, futuristic type vehicles that could be assembled like a model and plastic rugged enough to be played with and not be broken easily. I was looking at the 1982 Straight arm figures that I own and all the vehicles and this was a great lineup. Not only for 1982 but I still love the straight arm figures today, yes the 1983 swivel style can pose a bit better and not that I don’t like that feature but I still marvel at the 1982 figures and vehicles as if I was 7 years old again. 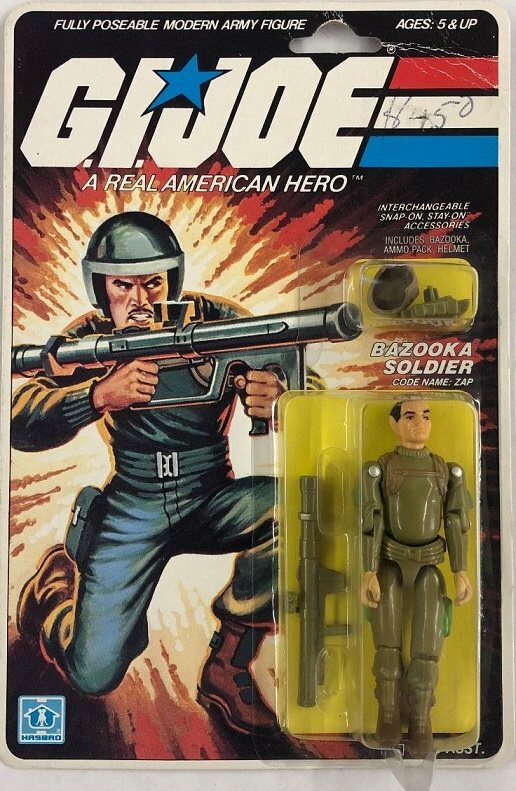 There were a number of action figures in 1980’s such as Star Wars, Mego, and M*A*S*H* figures that were all on the market. When G.I. Joe hit shelves there were a little skepticism on whether a military toy line aimed at children would take off. Star Wars was huge but Mego was failing and M*A*S*H*, well I don’t think that ever took off but there wasn’t the adult collectors out there that there are today. The creators had to have had some brilliant insight that even if these were not going to be bought up for or by children their would be some sort of an adult attraction to buy and collect toys of a military nature. Of Course as we all know the G.I. Joe franchise flourished and the toys were bought for children and for some of the few adult collectors at the time. The figures had a lot of thought go into making characters that were distinct and every character easily distinguishable. Even the 1982 figures that used the same few heads and body parts were mixed matched and colored to make every figure easily recognizable as a different character. The whole vehicle process was groundbreaking, it was a model that you had to put together and apply stickers. Each vehicle had movable parts and missiles and guns. From the Vamp to the Flagg, and to the Night Raven there were a lot of thought going into developing awesome vehicles and play sets. The animated series just amplified the characters and the vehicles, and its no wonder that the 1982 series right up to today’s modern Joes that they are so collectable. I wouldn’t say I still play with toys, but it is fun posing figures or setting up a battle scene and maybe taking a few shots to post on your favorite forum. The modern figures are great but I stopped buying the figures after they went sky high in price and I turned back to my roots. The vintage figures and vehicles are still so awesome. It’s a testament to the original ingenuity of them that the 25th anniversary lineup and lines after were primarily upgrades to all the original characters, figures and vehicles. In recent years the market has been flooded with figures like Marvel, DC, and Star Wars, although G.I. Joe has taken a back seat at retail and is pretty much in a collectors market right now, I hope to see them come back to the forefront one day. The military based toys these days are far a few between, but if anyone can pull off a comeback G.I. Joe is the one that can do it. Once the 12 inch figure faded out and it took a number of years to make a comeback. I’m not sure if a 6 inch figure would lead to a new animated series and a resurgent, but I think G.I. Joe could release an original 1982-1994 O-ring straight arm and swivel arm 3 & ¾ inch figure with vehicles and they would fly off the shelves. The price would have to be pondered and set at a reasonable rate, but how cool would it be to get all the original figures and vehicles, that is of course that you don’t already have a large cash of them stowed away in your basement or attic. I guess for me I just miss the days of going to the store and finding the shelves stocked with Joes. A lot of the early 80’s figures and vehicles are getting brittle and I have had cases of them disintegrating in my hands. Most of my vehicles are missing at least one part. Not sure about you guys but I would definitely buy Joes from the first 5 years for sure. Quite possibly adding characters that there have never been O ring versions of such as Pythona, Shooter, and Billy. 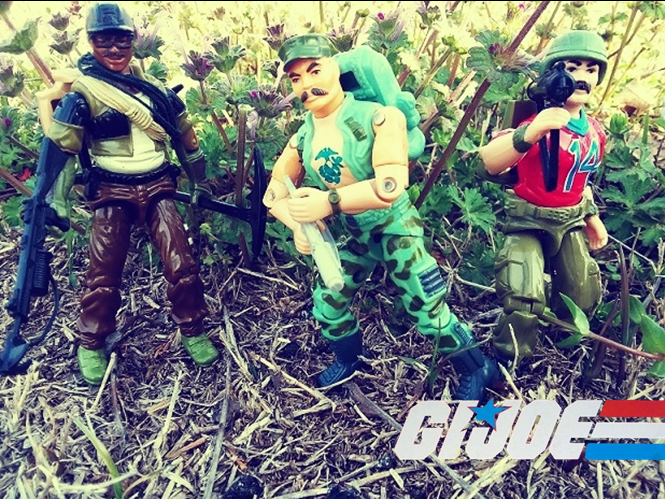 Well bottom line is that I would love to see the Joes make a retail comeback and I think there are many ways to do it. Do you want to see G.I.Joe return to retail? Sound off with your thoughts below! Last bumped by ⚡ Kal-El ⚡ on Mon Oct 08, 2018 12:00 pm.